Today I did a program called When I Grow Up. I read a handful of stories about grown up professions. Then we made a sort of time capsule. I had jumbo coffee cans leftover from another craft that just didn’t work out. The kids drew pictures of what they want to be when they grow up, then I taped the pictures to the coffee cans. We cut holes in the lids so the cans be used as banks for their college funds, places to put their report cards and awards, etc. A treasure chest for anything they think will help them reach their goals or that they’d like to look back on when they’re grown up. The program was a hit, and I threw it together this morning. I knew for months I was doing this theme, but I didn’t pull together the books and the craft until this morning, so I’m thrilled it worked out. The kids drew themselves as artists, teachers, librarians (like this one), doctors, etc. The books I found were about typical professions, and that’s also the kind of thing the kids drew. I suggested a million other jobs, but they mainly drew the jobs I read about today. *I did have one 5-year-old boy, a late arrival, who wanted to be either Spider Man or Venom when he grows up. He wasn’t really clear about which one exactly. 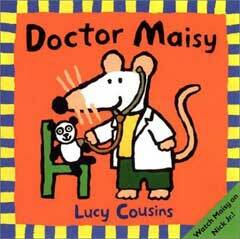 Doctor Maisy by Lucy Cousins. This is good for the very little kids. 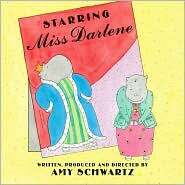 Starring Miss Darlene by Amy Schwartz. Tales of an actress. 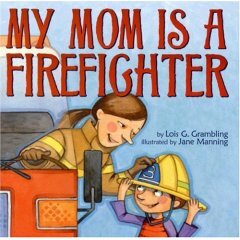 My Mom Is a Firefighter by Lois G. Grambling. This is a great story about a profession loved by kids. I like it because it’s about a female firefighter and it doesn’t feel contrived. 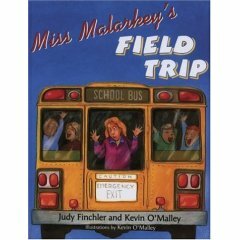 Miss Malarkey’s Field Trip by Judy Fincher and Kevin O’Malley. This is more of a story about kids on a field trip, but Miss Malarkey’s role as teacher is prominent and grown ups will smile at the task of getting a bus load of kids through field trip day. 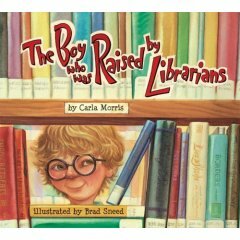 The Boy Who Was Raised by Librarians by Carla Morris. I loved this story, despite my personal bias. 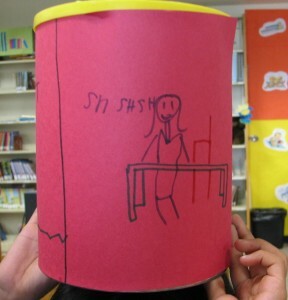 A great tale of all the ways librarians help kids.